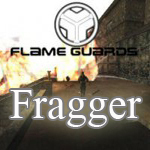 The Flame Guards Times is a project realized by Yeti and Confector and addresses everything who is interested in the Flame Guards Forum and Community. To make this project a success, we are completely dependent on your suggestions. So, in what kind of information around fg are you interested. On the one hand, we will post some general info concerning the site activity, on the other hand, we'd also like to answer your fg specific questions. Are you e.g. interested why FG is named FG, when FG was founded, what the top search words for www.flame-guards.com on google are. Pretty every question can and will be answered. Perhaps you also wish certain members to be interviews with your questions. Just make a a suggestoin and we will take care of it. Why FG's got so few ET players now? Most members came in by ET, but nowadays we play other games or are too busy to play at all.. Anyway lets start making some short funny movies. For example we can do something like Cribs on MTV. It could be done in ET, BFBC2, COD:MW2, SAMP etc. So I gave you an idea, pleasy try to think of other situations or something we can replicate that excists in RL. And I can help making them. But we need a video editor, a voice and brainz for coming up with more ideas. Well, ive got the first funny situation for Cribs already made up. It can be easily done in ET, map goldrush. I just need some more people to participate in it. The problem with minecraft is...Its already done. 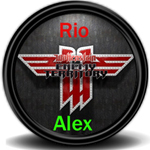 RioAlex wanted to participate also, with filming and video editing. Im also able to help if you want Just contact me on xfire when!